Improve air quality. Monitor air quality levels. Properly install and maintain filters to trap particles in your air supply. Ensure an adequate supply of fresh air. Keep air vents free of paper, files, and office supplies. Remember: It takes as much as 25 percent more energy to pump air into workspace if vents are blocked. 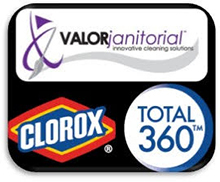 Reduce and eliminate airborne contaminants. Evaluate and control employee exposure to airborne contaminants. Consider banning smoking on your campus. Control building access. Limit access to your building — especially sensitive areas — to approved occupants only. Design buildings with uncomplicated layouts that enable emergency teams to locate areas quickly. Write and communicate a comprehensive emergency plan. Promote recycling. Distribute recycling containers around your buildings and/or campus to encourage separation of waste and recyclable items. Make cleaning and maintenance greener. Reduce the environmental impact of in-building operations such as cleaning, pest management, and maintenance by using more environmentally-friendly cleaning products and organic, synthetic filters for equipment. Help individuals control their own environments. Install desktop personal environment systems for comfort and control at the fingertips. Doing so gives occupants the ability and flexibility to adjust temperature, lighting, airflow, and acoustic characteristics as often as necessary to maintain personal comfort levels. So instead of a source of frustration, the workspace environment becomes a tool for productivity. Promote sustainability. Create a “sustainability advocate” team of employees to monitor, patrol and educate other employees on environmentally friendly behaviors. Celebrate Earth Days and Water Days to raise awareness and promote involvement. Preserve green spaces. Secure green space in your facility design to protect our natural resources, especially in urban areas. Insulate thoroughly. Install ceiling and wall insulation in your business to save energy and make the building quieter and more comfortable. Assess lighting usage. Perform an office lighting energy audit. Make a list of how many lights you use and what they are used for, and then develop an efficiency plan. This effort will lead to creating a more productive, comfortable work environment. That’s a win-win for management and employees.